Bear Makes Ninja recorded 2 tracks, which resulted in 2 videos. The instrumental “Double Twice” and the track “Bob’s Logs” which had vocals. The backline used was shared by both bands. Allright The Captain was first and we soundchecked and adjusted the drumkit then. Since it was also used by Bear Makes Ninja, the soundchecking part is included here too. For convenience during transport,the drumkit’s bassdrum was a single headed bassdrum. It sounded short and was not optimal for recording. That’s why we swapped it with the studio’s Pearl CZX bassdrum. Loud and deep sounding. A Sennheiser e602 was used inside the kick and the Yamaha Subkick was used for the low end at the resonant head. Another thing we adjusted was the small tom. As done often these days, it was placed on a snare stand. Unfortunately that also meant it made the tom very restraint in tone. Short with little usuable body. To tackle this, the studio has a customized snare stand with soft, extra thick rubbers on the snarestands’ arms. We swapped the bands snarestand with the studio’s snarestand. This allows the tom to resonate way more freely. The tom had a lot more projection which translated in a much better recordable tom. An Sennheiser MD421 was used to record it. Further mics used for the drums were Røde NT5 ‘s as overheads, AKG D1000c for snare and Røde NT1 for floortom. The band features 3 vocals. The backing vocals / second vocals were captured with good old sm58’s. The leadvoc of Ben Kutzner was captured with a Neumann KMS105 condenser. The bassguitar amp, an Orange, was recorded with a Neumann TLM 103. The amp’s DI was recorded too. Starting with the vocals, the focus was on keeping the bleed in the mics to a minimum. The leadvocal track was volume automated to reduce bleed. Cutting the bleed away sounded unnatural. On the contrairy, for the backing vocals cutting the bleed away did work really well. All vocals were hipassed to remove bleed and rumble. The backingvocals were mostly just limited, that worked best in this session. The leadvocal was compressed and eq’d. The bassguitar mic track was duplicated. One of the 2 was lowpassed and used for lowend only. Compression and limiting kept the lowend constant for push. The other track was hipassed for mids. The DI track was also used, mainly for hi-mids. The guitar tracks were balanced for optimal sound and routed to a group. Hipassed to remove rumble and mids were eq-ed to bring out some agressiveness. An instance of Waves Supertap was used to achieve a “doubletracked” guitar effect in the loud parts. One channel stays normal while the other is delayed by 30ms. Normally, I’m not a fan of doing this type of effect but it worked out really well on this session. 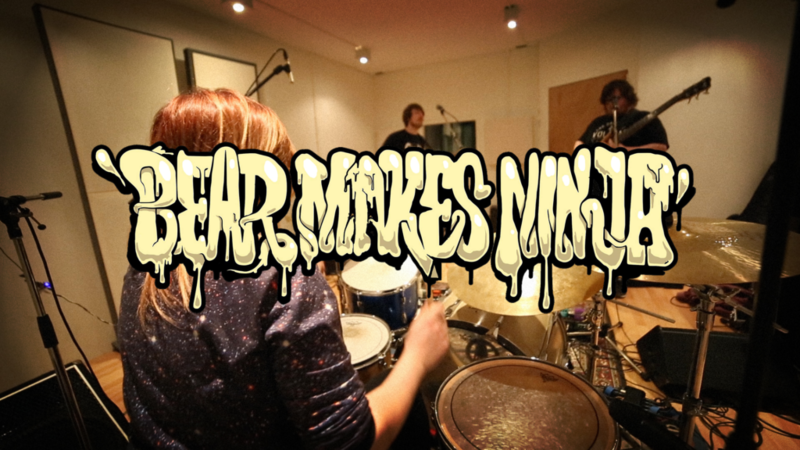 As often, different bands, musicians and music ask for different mixing mindsets. As mixing reference, I used the band’s kickass new album “Shenanagrams”. Although there are obvious differences play and recording wise it was a good reference. For instance, difference in guitar tone. The album has a very layered guitar sound, 4 layers of amps and pedals I was told by James, the live recording was 1 pedal only, a boss mega distortion, in 1 amp. Bass was pretty similar, I added more of mids to help the bass cut through the mics. The drums were obviously different, although the bassdrum had a pretty similar sound session and album wise. The snare was completely different, a fat snare was used on the album and a attacky high pitched for the live recording. Also a big shoutout to Ciara McMullan for letting me use the videofootage of her Canon camera – drummer’s view to include in the video!